Produces and encourages healthy roses and buds and can be also used on other flowers, shrubs and vegetables. 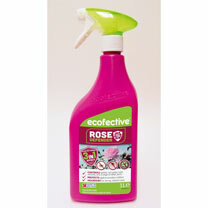 For vibrant, healthy roses. Use outdoors and under cover. Harvest next day. Children &amp; Pets need not be excluded from the treated areas. Available - Ready To Use or Concentrate.